Gaspar, El Lugareño: FIU Bridge ... Statement from FIGG Bridge Engineers, Inc.
FIU Bridge ... Statement from FIGG Bridge Engineers, Inc.
FIGG Bridge Engineers, Inc., provides these responses to the most common questions it is currently being asked regarding the tragic collapse of a pedestrian bridge. We will provide further updates as more information becomes available. 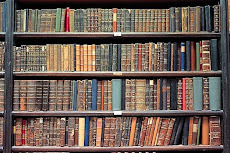 Statement from FIGG Bridge Engineers, Inc.
What is FIGG Bridge Engineers’ role in this project? FIGG Bridge Engineers, Inc. is the designer of the bridge, working for MCM. The project is part of a $19.4 million U.S. Department of Transportation TIGER grant, and was bid competitively using design-build procurement by Florida International University. Is FIGG Bridge Engineers working with authorities? FIGG Bridge Engineers, Inc. will fully cooperate with every appropriate authority in reviewing what happened and why. Have any other bridges designed by FIGG Bridge Engineers ever collapsed? This is an unprecedented event – no other bridge designed by FIGG Bridge Engineers has ever experienced such a collapse. FIGG-designed bridges have proven to be incredibly durable. For example, we have worked on more than 230 bridges throughout the United States and have designed nearly 35 miles of bridges in the southeastern Atlantic and Gulf of Mexico that have withstood multiple hurricanes. 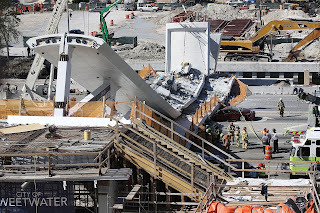 What caused the collapse of the pedestrian bridge in Miami? 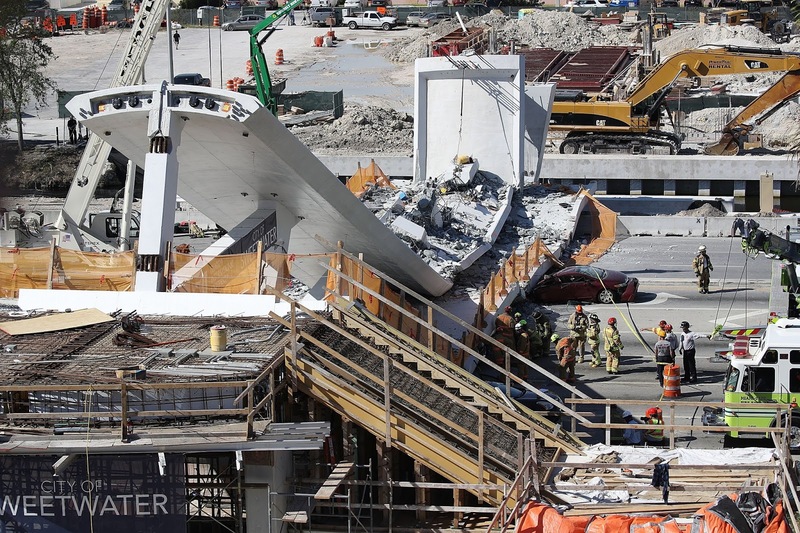 This pedestrian bridge collapse is truly tragic. The focus right now is on the first responders’ recovery operations. Multiple agencies have already begun an extensive review to determine what caused the collapse, and we will work closely with all appropriate authorities in this effort. How secure are existing FIGG-designed bridges around the nation?